What use, you may ask, is a blogger who never blogs? Several months have passed since my last posting here, when I announced with a great deal of pleasure that funding had come through for the workers’ co-operative archive project which a few of us had for several years been nursing into health. I’m delighted to say that a project worker has now been appointed by the Co-operative Heritage Trust to start the hard work of making the initiative a success. Since the Spring I’ve been busy, too busy or so it seemed at the time, to blog or tweet. I’ve been finalising the text and undertaking proofing of a new book of mine Back Roads through Middle England which will be coming out next month from Gritstone Publishing Co-operative, the authors’ marketing co-operative of which I’m a proud founder member. The book will probably be filed by bookshops as a ‘travel’ title, or perhaps in larger bookshops with other books in the growing genre of landscape writing. It will, I hope, interest my friends in the co-operative movement (there are accounts of a village shop co-operative in Lincolnshire, a rural community land trust in Dorset, and a co-operative market garden outside Bath), although my aims with the book are rather more general. Here’s how the press release which Gritstone has drawn up begins, to give you an idea. At a time when Englishness and English identity is increasingly an uncertain affair, are there clues in both the past and the present state of the English countryside to help us understand the state we’re in? Landscape writer Andrew Bibby delves deep into ‘middle England’ in his search for answers. 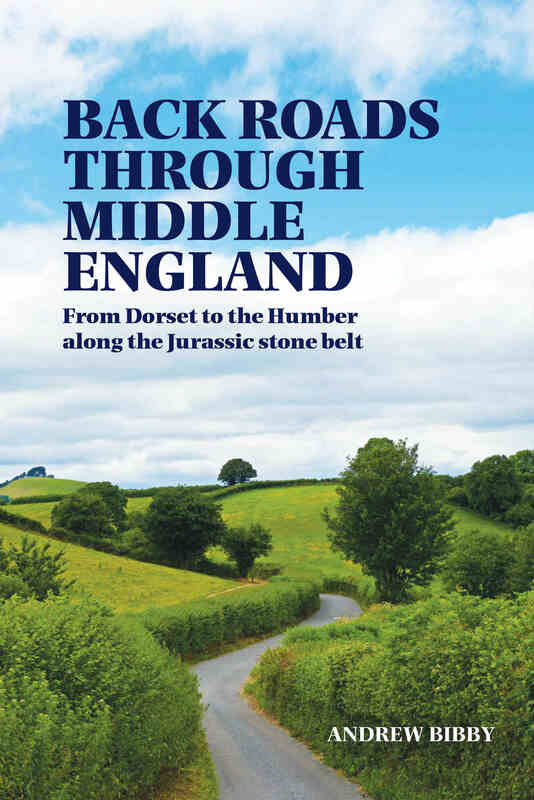 In his forthcoming book Back Roads through Middle England he uses the device of a journey by bicycle from Dorset to the Humber along the Jurassic limestone belt (the so-called ‘cotswoldstone’) to try to capture the essence of this much-loved landscape – but also to explore the issues he feels are relevant to England today. Maybe I’ll say more about the book here, in the run-up to publication next month. This entry was posted in Co-operatives, Community Land Trusts, travel books and tagged community agriculture, Community Land Trusts, village shops. Bookmark the permalink.